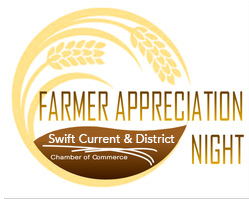 The Chamber is pleased to introduce our inagural Farmer Appreciation Night Event. We feel that our agricultural community is vital to our economy and want to celebrate it. We are inviting all businesses who have customers in the ag industry to get involved and purchase tables to invite your clients out for this fun night. SCBEX is Swift Current's premiere business event which recognizes businesses who have achieved success and are noted as providing some of the highest quality products and services to our city's residents. This event connects local business leaders with young entrepreneurs from SCCHS and Great Plains College. This is a Chamber initiative to provide information to business students about the varying paths that local business leaders have travelled to reach the position they currently hold. A $500.00 scholarship is awarded to a student from each institution. This event takes place every year after the City of Swift Current's budget announcement. The Mayor of Swift Current takes this opporunity to address businesses and the community as a whole to lay out the plan for the coming year which has been proposed by city administration and approved by council. 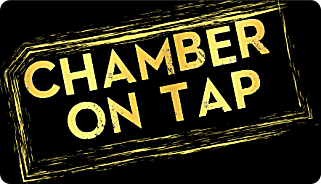 Let us profile your business at our next Chamber on Tap. An event where we provide a member spotlight and the chance to meet and exchange contacts in a casual setting. Opportunities to host this event are available at your place of business or at an arranged location. Please contact us at (306) 773-7268 or email info@swiftcurrentchamber.ca if you would like to sponsor or host this event. Educational sessions without missing a minute of work in your busy schedule. 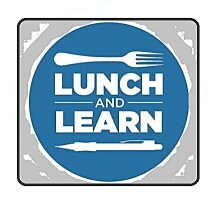 Lunch n Learns provide valuable information not only to the business owner but also the employees. Sponsor opportunities are available and ideas are always welcomed. 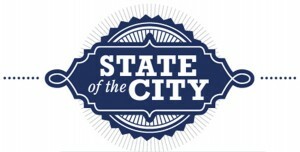 Contact the chamber for upcoming events and possible hosting opportunities.